Do you frequently get sick throughout the winter months? 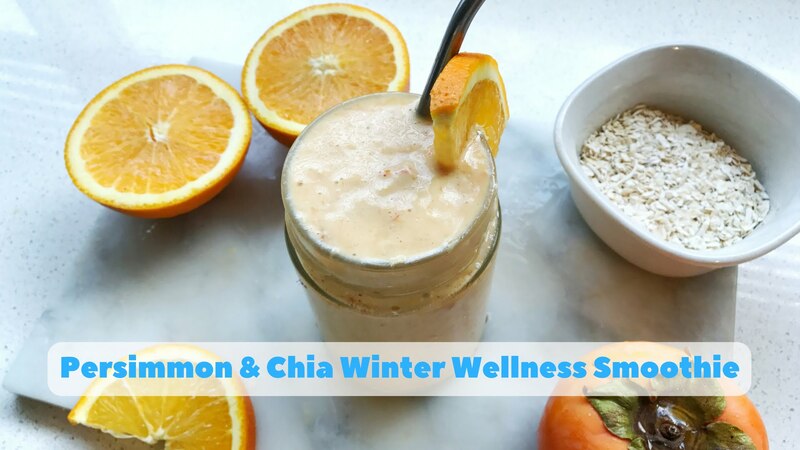 Then try this Persimmon & Chia Winter Wellness Smoothie for a quick & easy way to boost your health. Made with the added nutrition of Chia Co’s Oats+Chia, this smoothie is the ultimate choice for healthy gut function & immune support. Chia seeds are packed full vital wellness nutrients including iron, plant protein & omega-3 ALAs. Plus this smoothie will aid healthy digestion with it’s healthy fibre content from the chia, oats and fruit. Place all ingredients into a blender a blend until smooth & creamy. Sponsored Content: This article is proudly sponsored by The Chia Co. Why? Because I love The Chia Co l and only recommend companies/brands/products that I truly believe in and who share the same approach to health as I do. All opinions are my own and not influenced in any way.